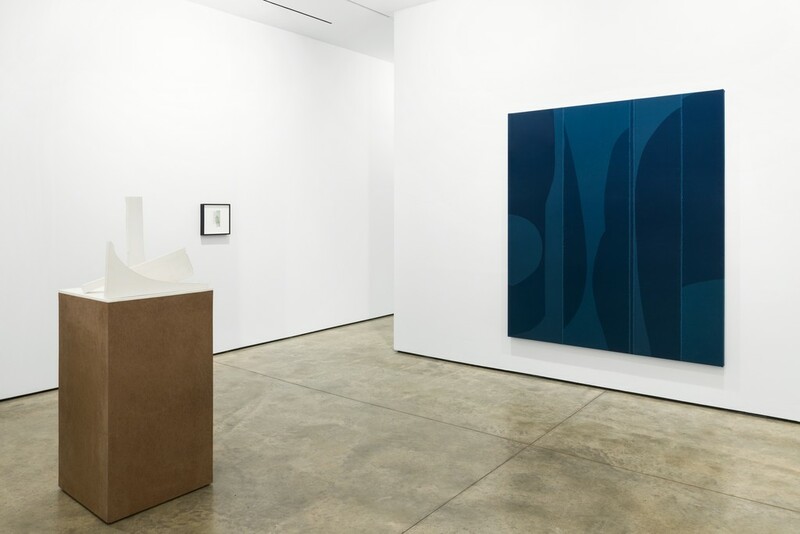 Erin Shirreff's work blurs the lines between sculpture, print, and painting. 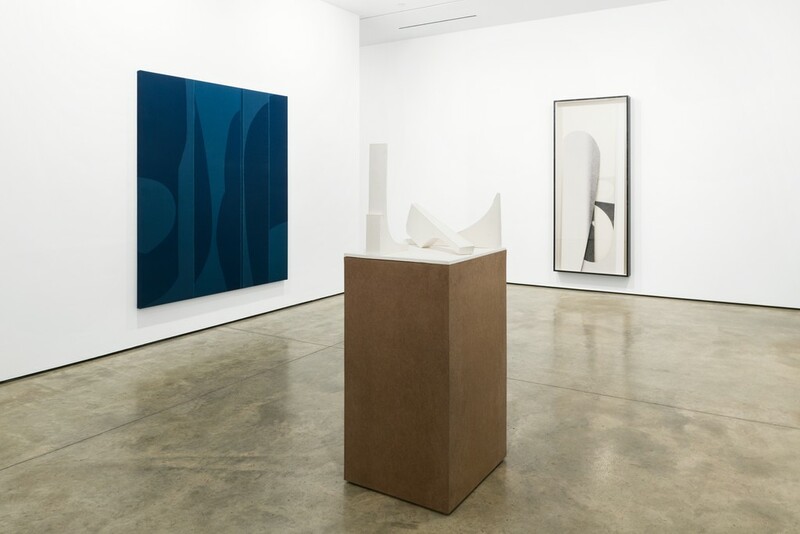 Drawing from modernist aesthetics with a speculative eye, Shirreff reinvents the viewer's bodily relationship to flatness and dimensionality. 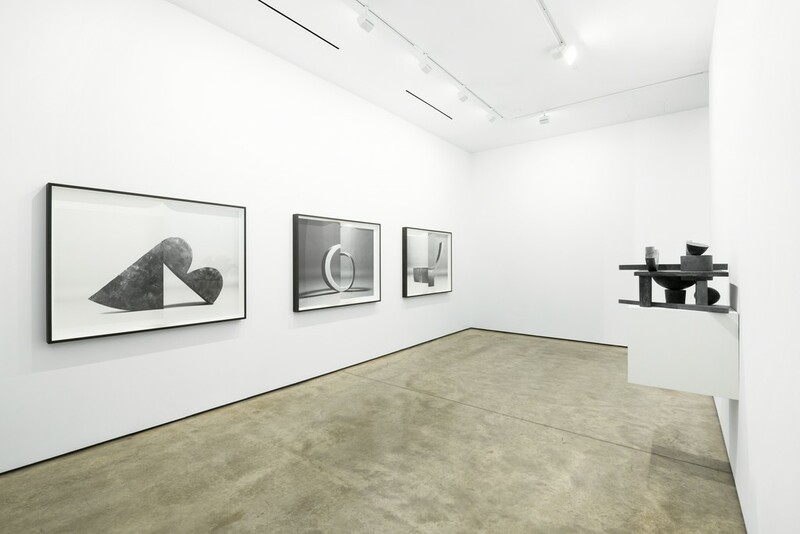 Lora Reynolds is pleased to announce an exhibition of photography and sculpture by Erin Shirreff—the artist’s first presentation at the gallery. 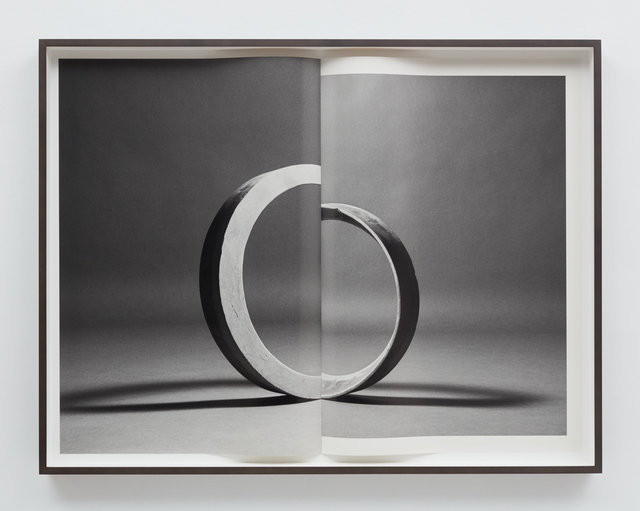 “It was really flat—somehow—to me as an experience,” Shirreff says about visiting a Tony Smith sculpture in person after marveling at a picture of it in an old monograph. “There was way more romance and mystery in the image.” Artists and art lovers have long held that experiencing an artwork firsthand—especially sculpture, in the round—is always more powerful and more compelling than looking at a photograph of that same artwork (either as a transparency, in a textbook, or more recently, on Instagram). But is that claim necessarily true? By making work that blurs the boundaries between sculpture and photography, Shirreff investigates the gray area between these usually neatly defined categories. 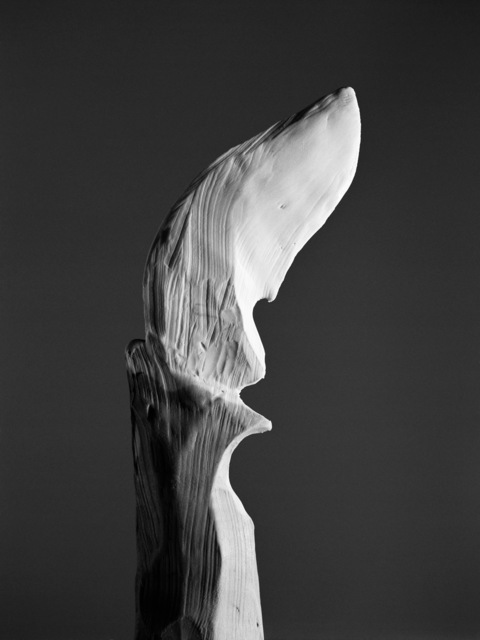 Shirreff’s photographic series Fig. comprises black-and-white images of sculptures she makes with pigmented plaster. 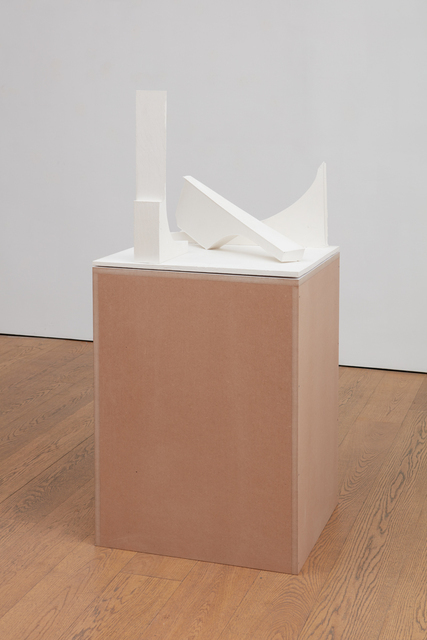 The sculptures are simple geometric shapes with soft curves and sharp edges—reminiscent of mid-century modernist sculpture by artists like Tony Smith, Alexander Calder, Anthony Caro, and Henry Moore. Each Fig. 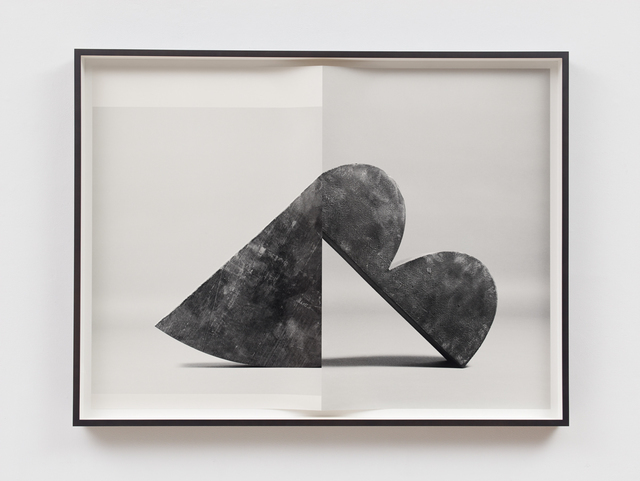 print, rather than lying flat in its frame (as photographs usually do), looks more like an open book—with a vertical fold down the middle of the piece making its left and right halves billow away from each other like a spread of two pages. 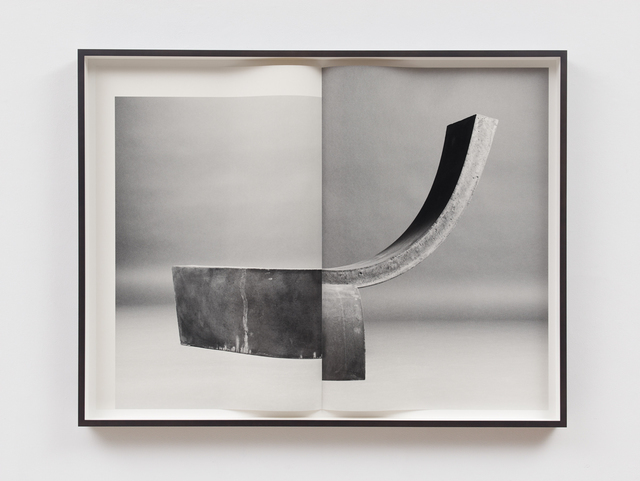 This fold (which approximates a book’s gutter) joins two bisected images of different sculptures—as if the photograph were an Exquisite Corpse drawing—to create a single hybrid object that never existed in three dimensions. 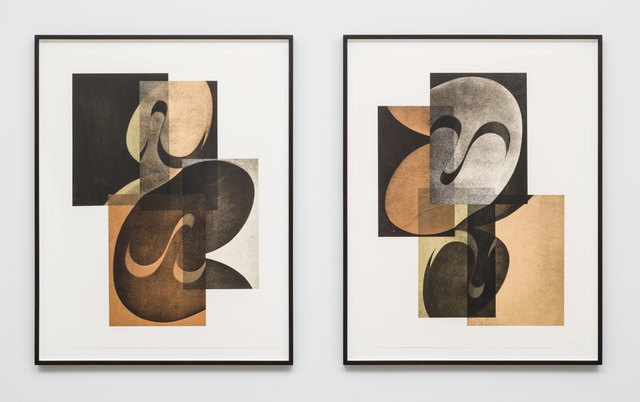 Shirreff’s most recent series of framed works feature dye sublimation prints—a form of photographic printing in which the image is fused with a thin sheet of aluminum. 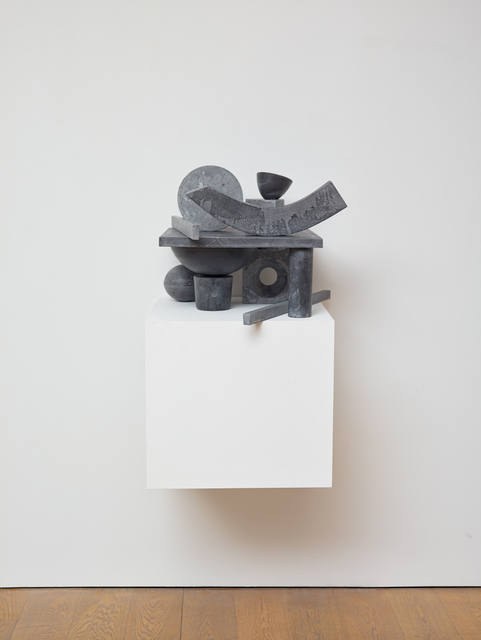 In this body of work, the aluminum prints are cut into shapes that suggest leftover scraps of paper; the images on their surfaces are reproductions of modernist sculptures (by Smith, Calder, et al. ), enlarged to such extremes that they only register as halftone dots (which renders the original sculptural forms unrecognizable). 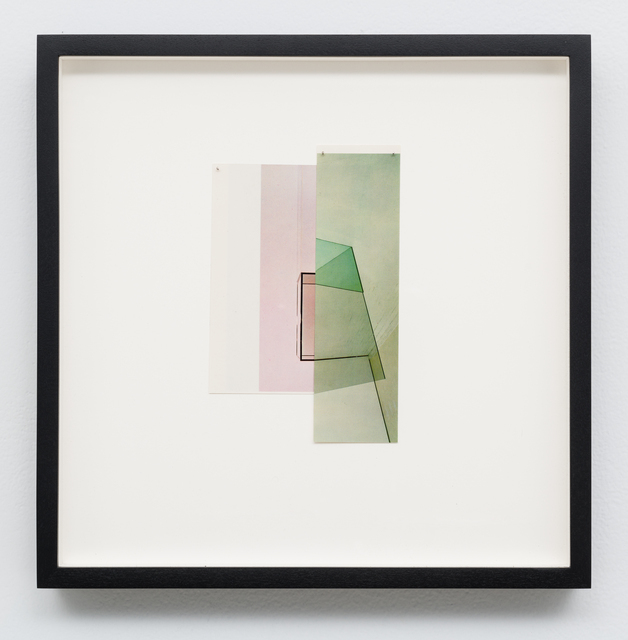 Shirreff layers a number of these prints/shapes inside a deep-set frame, creating a sculptural installation (of sorts) inside a shadowbox. Each component in the diorama—and the whole piece itself—has a multifaceted identity: they are simultaneously sculptural and photographic, without being either sculpture or photography alone. 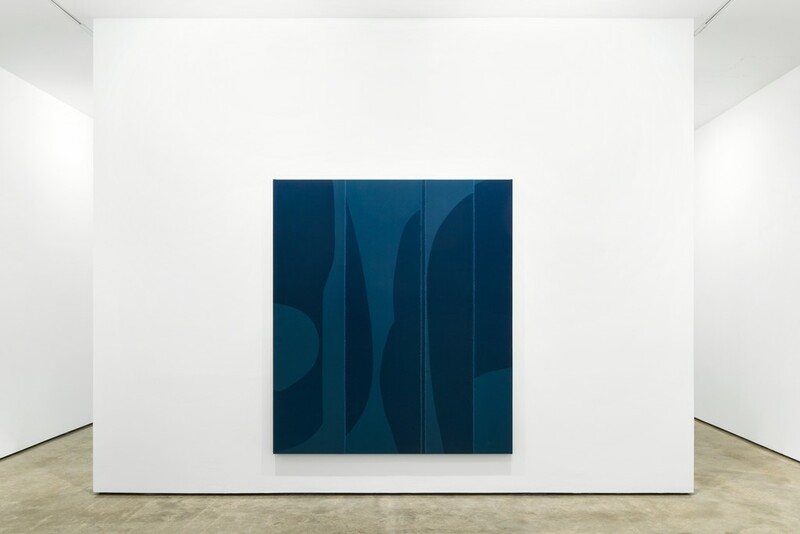 The single canvas in this show, despite appearing to be a painting, is actually a cyanotype—an early type of photography made without a camera or film. 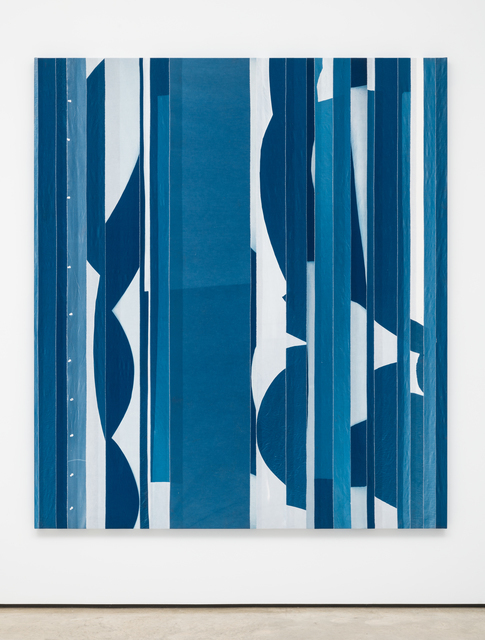 Shirreff treated the fabric with light-sensitive chemicals, overlaid it with large paper cutouts used in her sculptural practice, and exposed it to light. She made a series of these photograms, ripped them apart, and collaged them back together on panel. 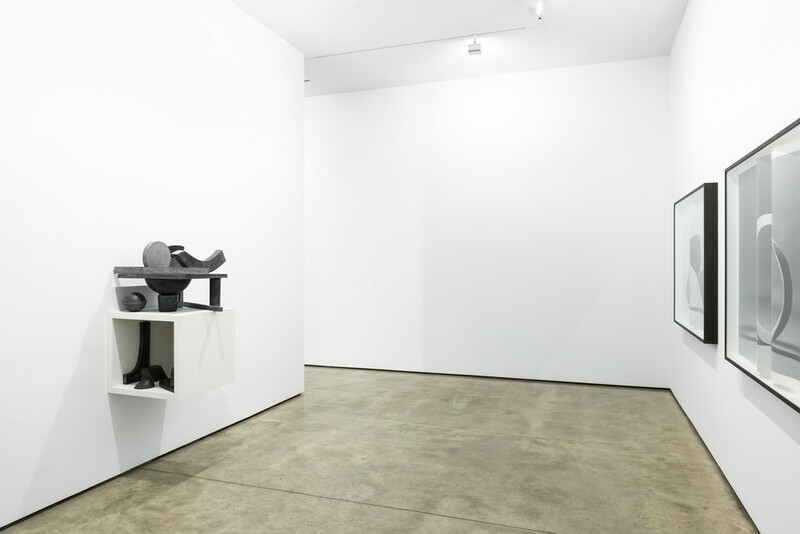 This “photograph” is an indirect representation of Shirreff’s sculptures, presented in the language of painting (canvas, stretcher bars, no frame)—another surprising dismantling of the traditional boundaries between three major categories of artmaking. 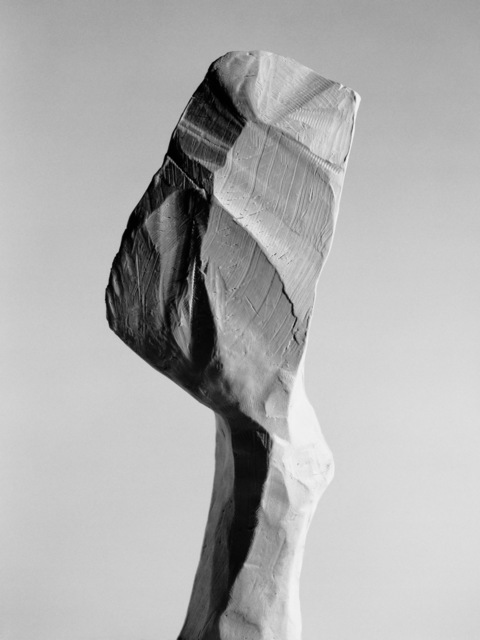 Categories with strict boundaries—sculpture/photography, digital/analog, black/white—are exclusionary by nature. Shirreff’s work reflects an increasingly complicated world that requires a nuanced understanding of the potential of hybridity and pluralism. In the middle of the 20th century (the heyday of modernist sculpture), the people who made objects and images (that were seen) mostly belonged to a single demographic. Today, more than two billion people carry smartphones and nearly half of them have an Instagram account. This ubiquity has surely contributed to the crumbling distinctions between images, objects, and experiences—and perhaps more importantly, to the democratization of who gets to make images and whose images are seen. If ubiquity negates exclusion, the gray area and in-betweens (that so compel Shirreff) overtake black and white. Erin Shirreff, born in 1975 in British Columbia, lives and works in New York. 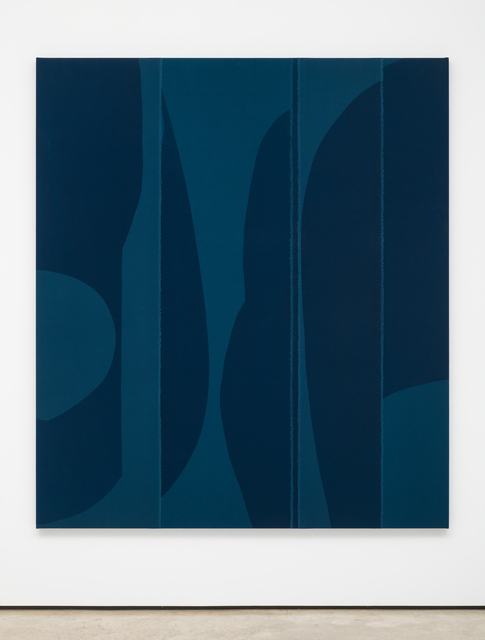 Shirreff has mounted solo shows at the Albright-Knox Art Gallery (Buffalo), Contemporary Art Gallery (Vancouver), Institute of Contemporary Art (Boston), Institute of Contemporary Art (Philadelphia), and Kunsthalle Basel. She was an artist in residence at Artpace (San Antonio) in 2013 and the Chinati Foundation (Marfa) in 2011. Her work is in the collections of the Centre Pompidou (Paris), Dallas Museum of Art, Guggenheim Museum (New York), Los Angeles County Museum of Art, Metropolitan Museum of Art (New York), Museum of Contemporary Art (Chicago), Museum of Fine Arts, Houston, and Museum of Modern Art (New York).